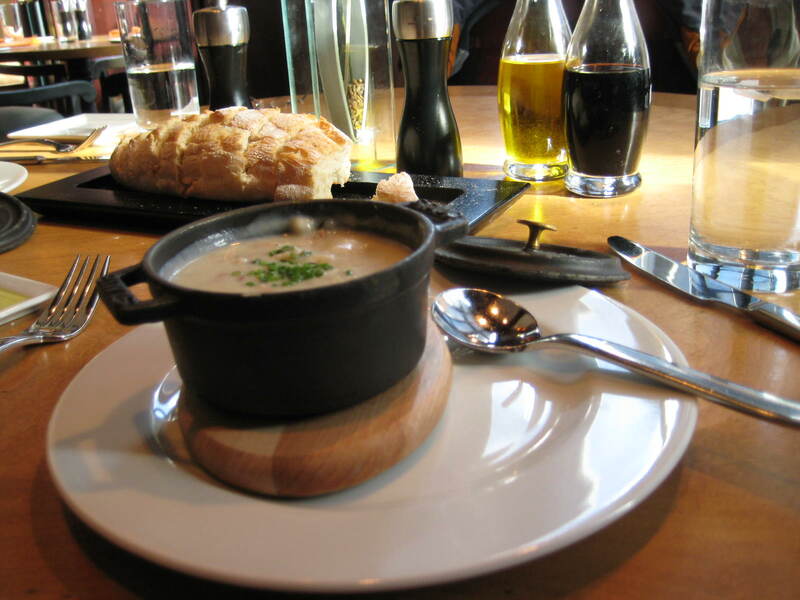 This post if dedicated to Mitzi Lindsey, because she got a kick out of my ‘cute little soup’. Well, Mitzi here’s the cute soup again :). I thought it was so cute I decided to paint it one day on our trip. It’s just a quick watercolor sketch I did one day while Grady was out skiing. I enjoyed painting it almost as much as I enjoyed playing with the cute little bowl and lid. I think it must be a woman thing. Women, do you enjoy your food better when it comes out in some cute container? Like when coffee comes out and you get cute little sugar cubes instead of just the plain old sugar packets? I LOVE stuff like that. It doesn’t take much to get me tickled! The Lord knows that too. I wonder if He had a smile on His holy face the day those cute little bowls were made knowing I would one day have fun with it, embarrass my husband (as I took the lid on and off just because it was fun), and give thanks to Him for the little things in life. Even in our eating and drinking we can give glory to God. Ok, speaking of drinking I’d like to say for the record that those bottles in the background are olive oil and balsamic vinegar – NOT WINE :)! This is one of my favorites. Still waiting to find out how we can get one of these into our home! Really Jason?? Hmmm, that’s interesting because I almost didn’t even post this one. Thanks for the compliment and taking time to leave a comment! As you know, us bloggers LOVE comments 🙂 I am working now on getting my art sale together – it looks like it will be sometime in March. I will most certainly let you guys know when I have it! WOW! This is soooo good! I continue to be amazed! God has blessed you with a great talent!! Keep it up girl! Well Linda, thank you so much. I tell you, you guys keep me soooooo encouraged! It’s so weird how as the artist you don’t (or at least this artist doesn’t) see your work like others do. I had fun painting this one, but I really didn’t think anyone else would enjoy looking at it. I’m just constantly surprised! Sandi , You are so talented! 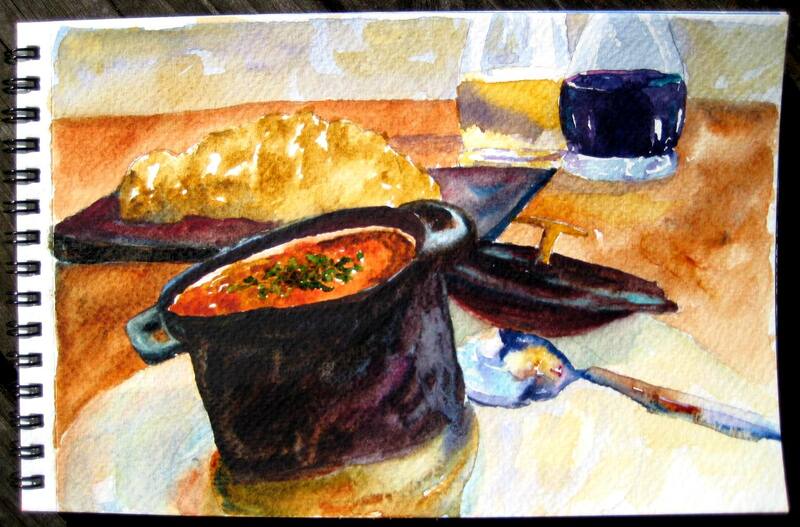 I love the soup painting, it would be wonderful in my kitchen! Now that I’ve discovered your blog I will be reading it regularly, keep up the good work. Hey Susan! Well, you were serious last night when you said you were going to check out my blog – you got on it fast girl! Thank you so much for taking time to check it out and for the very kind comments! I’m so glad you’re going to be a regular visitor now. I’m also excited to be serving on the Women’s Servant team with you – I’m looking forward to getting to know you better.